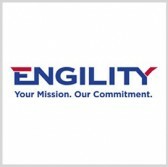 Engility has received a potential $42 million initial task order to assist the Office of the Secretary of Defense in efforts to develop, update and disseminate systems engineering acquisition policy and guidance across the Defense Department. The company said Monday the task order has a nine-month base period and four one-year options and will include strategic studies in the areas cybersecurity, software assurance and microelectronics areas. The order falls under a $240 multiple-award professional engineering services contract Washington Headquarters Services awarded in November 2016. “Our team will help DoD clients address cybersecurity in areas like hardware, software, firmware and supply chain vulnerabilities,” said Engility CEO Lynn Dugle. Engility will also provide services in modular open systems architectures, digital engineering, reliability and maintainability, manufacturing, anti-tamper/anti-counterfeit, program protection, value engineering and human-systems interfaces under the task order.